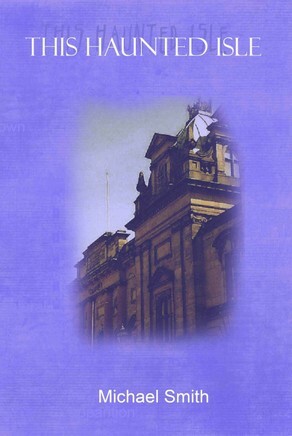 This Haunted Isle explores the realm of the paranormal and attempts to explain why people believe they are haunted or indeed their house and although seem may deem parapsychology to be a pseudo science, within the book you are given an explanation of just what a parapsychologist does and the origins of this fascinating topic. Some paranormal groups believe in psychics but are they really communicating with the dead? Psychic’s talents have gone through many tests by the Society of Psychical Research over the years and some of those cases are explored such as the famous case of Eusapia Palladino. Michael and the Ghost Chasers team have investigated many alleged locations throughout the UK , some of which are detailed as case studies and allow you to come to your own conclusions. Although you may think all haunting are the same you may be surprised to learn that they are more complex than you think, for example what is the difference between an Apparitional Experience and that of a Ghost Experience Apparition? This Haunted Isle is recommended for those with an interest in the paranormal and those who are studying parapsychology and does not in any way try and convince you that ghosts exist – it may even make you reconsider what you thought was fact!